1. 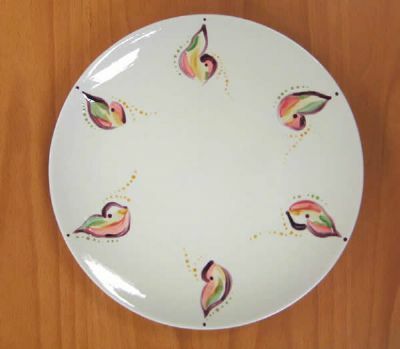 You choose a blank piece of pottery from our range of over 400 items. 2. We sit down with you, talk you through how the special ceramic paints work, and give you lots of tips, hints & advice. 3. 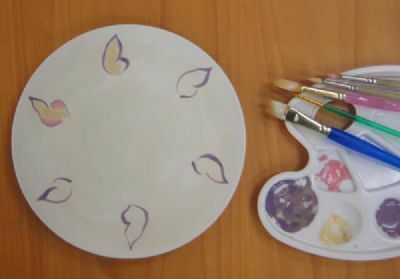 You paint your chosen piece of pottery, in your own design & style. 4. 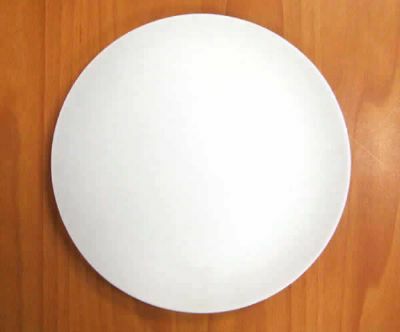 Once painted, you leave your piece with us for glazing & firing. It's ready for collection (or we can post it to you) around a week later. 5. You get it, you see it, you gasp! Your finished piece of glazed pottery is amazing! Absolutely not! We have lots of tried-and-tested techniques that work brilliantly and don't require an ounce of artistic ability. 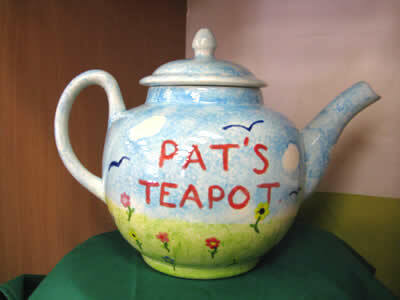 We guarantee that you'll be able to produce a fabulous piece of painted pottery, however arty or not you are. And we also guarantee that you'll enjoy doing it! The price you pay is just the cost of the piece of pottery you choose to paint. Every item in our studio is individually and clearly marked with a price, and prices start at £4 per item. It's just for kids isn't it? Nope! 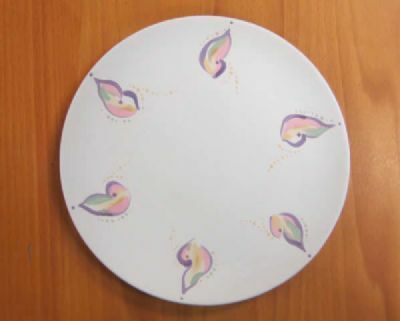 Although we have lots of kids painting pottery, the majority of our pottery-painting customers are adults. And the wonderful surprise for adults, if you haven't done it before, is that pottery-painting is so relaxing - it's fantastic therapy and will leave you feeling amazongly chilled. 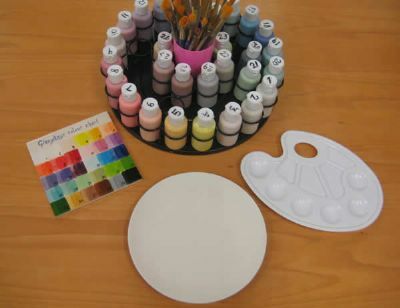 We run evening pottery-painting sessions for adults only, so you can leave the kids & your cares behind and come along for some quality "me time"; or of course you can come any time we're open during the day. How long until the pottery is glazed and fired? Your finished piece of pottery will usually be glazed, fired, and ready for collection one week from when you leave it with us. However if you need it more quickly, simply have a word with us as we may be able to speed it through for you. If you're just visiting the area and not around for very long, we can always post your items on to you once they're glazed and fired. Will my pottery be dishwasher-safe? Yes - a glazed & fired pottery item will be dishwasher-safe and microwavable, just like any item of glazed dinnerware you might bu in the shops. However (again, just like any glazed pottery you might be in the shops) it could also get chipped or damaged in the dishwahser. So if the item is precious to you, careful washing-up by hand might be best.